This recipe has an excellent balance of protein and fat. It has a moderate amount of carbs so add a small side of grains or other complex carbohydrates to stabilize your blood sugar. Juice 1 of the limes and marinade chicken for 5-10 minutes. Heat grill or grill pan over medium-high heat and mist with cooking spray. Remove the chicken from marinade and season with salt and pepper. Grill until cooked through, about 10 minutes per side. *Note: you can also bake the chicken in a 350ºF oven for 20-25 minutes if you don’t have a grill or grill pan. While chicken is cooking, prepare the salsa. Combine strawberries, juice and zest from the second lime, avocado, and mint. Season with freshly ground black pepper to taste. 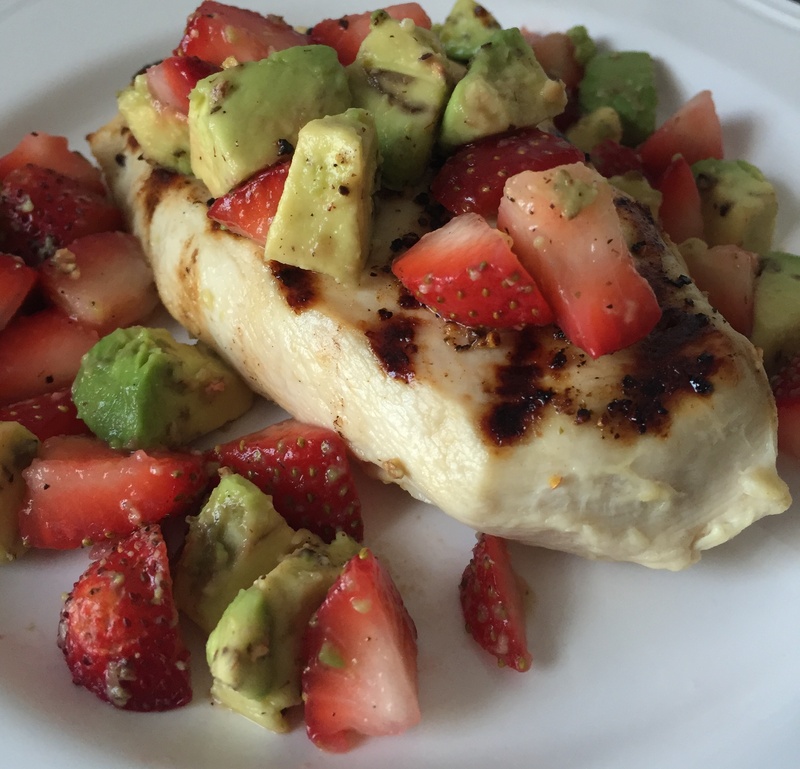 When chicken is cooked through, top each piece with 1/2 of the strawberry lime salsa and serve.